Guys! I’m currently enjoying the sunny weather in Cayo Coco, Cuba. Don’t worry, I’ve written this little post ahead of time – I definitely value taking complete time off when on vacation. I intended to write a full-blown post in some way relating to vacations and travel, but instead I’m just going to list a few of my thoughts, however random they may be. Because I can! I’ve been reading a little bit almost every night before bed. Usually it only amounts to about 5 – 10 pages. At this rate, I’ll be finished my gigantic book by June. Not fast enough! However, the other morning I couldn’t sleep, for reasons unknown, and I read 40 pages in hopes it would make me sleepy. It kind of worked. Travis and I have a [fairly new] tradition of bringing tiny plastic Monsters Inc. figurines travelling with us (mine is Sully). They hang out in our pockets and often make it into their own pictures. It’s fun! For complicated and long winded reasons, I am on my own flight to Cuba all by myself. Sully will keep me company. As long as I don’t start talking to him in public (people tend to frown upon that sort of thing), all will be well. I’ve travelled alone before so I’m not too worried. My habit goals for February are exercising 5 days / week and drinking 4 jars of water / day (read more here). 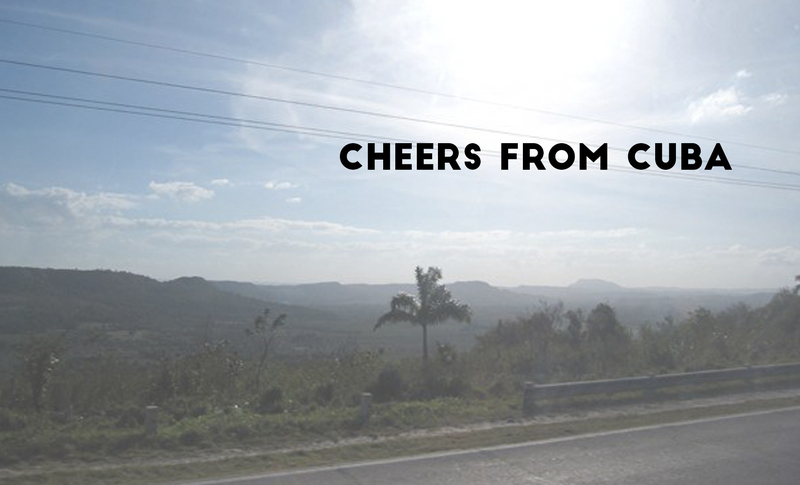 While in Cuba I hope to consciously make sure I’m drinking as much water as I can, and doing outdoor activities. I’m not the type to be able to sit on a beach and suntan for hours on end, so I’m not worried about the exercise. It helps that I have a fun + adventurous + crazy family. Did I mention it’s a destination wedding? (If you’re reading this on Tuesday, I believe the actual wedding was last night and I have no doubt that it was awesome). I have zero intention of formally tracking how much exercise I get and how much water I drink. I trust myself. I hope you’re enjoying your week, wherever you are!